About 15 years ago, a friendly staff producer at the NYC office of Carabiner gave me some advice which is worth thousands of dollars. That’s good advice for vendors in most industries. 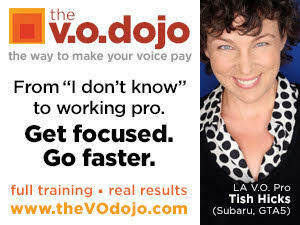 And an excellent suggestion for voice actors in our business. In the “old days” actors would make phone calls to chat with producers or send postcards with a brief recap of what jobs they’d done in the last month or two. Several of my colleagues still send postcards. It’s worth the 20-cent stamp to have a producer spend three or four seconds perusing your photo and news, and then tossing it in the waste basket. But a voice actor is not selling his look, but his sound. When I started in this work, I used to make calls to corporate clients on Sunday afternoons. I had a list prepared of the names and phone numbers, and I’d roll through the list. Why a Sunday afternoon? The corporation was closed. My thinking was that on Monday morning the producer walks into his office with his coffee, sorts through his mail, and then listens to any phone messages that had come in. "Hi Charlie. It’s Alan Sklar. I just wanted to say Hi and gently twist your left arm to think of me the next time you’re shopping for a narrator with a warm, deep, authoritative voice. Please don’t call me back. I know you’re a busy guy." So I left a voice sample of a warm, deep, authoritative voice, not a printed post card résumé. While I spoke, I leaned back in my desk chair, and relaxed physically in order to get the best soft, warm sound I could muster. Did it work? Was that an effective strategy? I dunno. But my numbers went up every year. So, like a good enema, it probably didn’t hurt. About 70% of my work for years was - and still is - non-broadcast narration, serving corporate, medical, financial clientele. I still feel that’s my strongest skill, and I love the work. With “Industrials” the voice talent can be a part of the creative team, making script suggestions, which are often accepted. Not so with commercials. Just keep your trap shut and do what they tell you. I’ve learned to not turn on the charm or the humor or make suggestions during a TV commercial job. He spoke as if I had a disease. Nowadays, with email, it’s easy to keep in touch. An email is a non-intrusive electronic postcard, hopefully getting the client’s attention for the same three or four seconds. And a voice actor can attach an audio file to show his/her stuff rather than just describing it. I know for a fact that producers occasionally listen to the attached sample. Some actors feel that the agent should do 100% of the marketing. I feel differently. When a job creates new wealth, the agent gets 10% and the talent gets 90%. That means to me, that the actor should do 90% of the marketing efforts. So many actors are reluctant to do the selling. It’s as if the agents and producers are titans of the industry and the actor is “poor little me,” so deferential with hat in hand ....feeling unentitled to even approach such industry giants. Keep in touch. How to do it effectively and not intrusively haunts me. As a sales person in the paint and hardware industry for 20 years before I got into voice overs, I learned how effective it is to be pleasantly persistent. One fun story was when Ralph (our northern Manhattan salesman) and I tried to open up a new account, a lumber yard/hardware store on 2nd Avenue in the East 90’s. We got thrown out 12 times. Ralph and I left and stood on the sidewalk outside the store. And Ralph called on them every week thereafter and wrote an order. But back to Keep in Touch. On the bottom: The author and title and running time. The response was and continues to be very positive. I often get lovely grateful emails thanking me. I’ve mailed hundreds of these CDs. An effective way of staying in touch. Now ... how else to stay in touch? And if you are a salesman in your heart, it’s often more fun than the voice jobs. But you must understand that the definition of a salesman is: A guy who gets other folks to do what he wants! It’s got nothing to do with hawking wares. 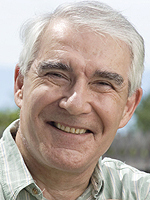 Alan Sklar has been a freelance voice actor for more than 20 years, voicing radio/TV commercials and VNRs - and narrating everything from audiobooks and documentaries to thousands of corporate and medical video projects. An award-winning narrator of more than 150 audiobooks - including A Civil Action and Black Hawk Down, he is also an on-camera and in-person spokesperson for major corporations. Great info, Alan. I like your positive attitude. That is truly the way to get work! I just wanted to thank you for your inspirational articles on Voice Over Xtra. To have a talent of your status helping us is a valuable resource that we can listen to again and again! Alan: Thank you for such a seemingly simple approach to what many feel is a daunting undertaking. I am new to the VO world, having dabbled in it while I was in TV production in the 90s. I'm now ready to start a new venture that will (hopefully) take me into retirement. Articles like yours only aid in comforting the nerves and realizing that we all fear the same things. The difference is how we ACT through the fear, not reACT. Thank you!!! Alan, what you have talked of is a huge stumbling block for many of us. Thank you for making it sound so easy. I think I will print your article and pin it to my studio wall. Alan, I have admired your work for a long time. Its simplicity and elegance are a benchmark for great voice work. And this article is a perfect example of that. Thank you...and consider every bit of it stolen for my own personal use! One of the best articles that I have ever read on keeping "in touch" in a non-intrusive mannder. This is my first post on VoiceOverXtra ... and a very sincere thank you, Alan, for a great article. I can tell you that Alan actually does all this stuff - and that it works! 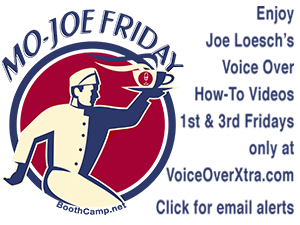 He is equally generous - always sharing these tips with other voiceover peeps. Alan is a true gentleman - and a great talent as well. What a fabulous article. Great information. Absorbed every word, Alan. Thank you so much. Very entertaining, interesting and inspiring all rolled into one! Brilliant! How inspiring, Alan! Thank you so much for this article. "Like a good enema, it probably wouldn't hurt." That's a good line to remember. As is the rest of Alan's advice. I've been doing the VM message thing after hours at corporations. 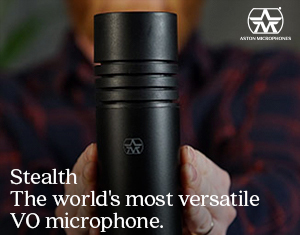 That gives you a chance to leave a good message without interrupting someone's day. And a chance for you to "audition," so to speak, by having your voice recorded on their VM. And that CD story thing ... now ...that's got me thinkin'! Thanks, Alan ... Keep in touch! Handsome AND brilliant! I just love your wonderful article! Thank you so much for writing this and sharing your wisdom. I enjoyed your recording very much, as well. I’ve been a big fan of the Sunday voice-mail messages for a long time. (I think I might have learned that idea originally from Susan Berkley or Diana Boylston.) 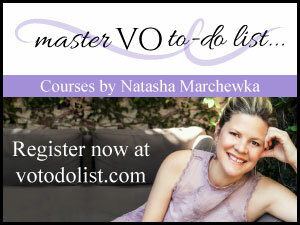 It’s such a great way for your clients to hear your voice with no pressure or interruption. Thank you again Alan for your beautifully written article and inspiring ideas. I hope all is wonderfully well with you and that our paths cross again sooner than later. Very interesting, well organized and valuable advice. Pure gold, Alan. Thank you for sharing your wise stories. Early in this millennium, I flew from Atlanta to NYC to take a voiceover marketing class with Alan. He impressed and inspired me that day, and he has continued to do so in every communication we have. Alan, I am genuflecting in your direction right now! The CD stories are yet another of your brilliant marketing ideas, and I thank you for sharing it with us! Love that velvet voice - Excellent ideas! fantastic, alan! thanks so much! Loved the advice in the article, but if using USPS to send out material it costs twenty-eight cents for postcards, and $1.22 to send out a CD in 6x9 bubble wrap envelope. Just the spark I needed. Tks, Alan! Alan,your suggestion to call clients and leave a thoughtful voice sample on Sunday afternoon is something I could actually do. I cannot thank you enough for a new approach to "keeping in touch!" Alan - I love this approach! Prior to my voice over career, I worked in radio sales. My style was very similar to yours and quite successful. Now that I'm in this venue I've been trying to find creative, nonintrusive ways to 'keep in touch'. Your suggestions are terrific! Thanks for sharing them! That was brilliant! I've always enjoyed Alan Sklar's delivery. Brilliant I say Brilliant. What a refreshing article! There are so many coaches and 'gurus' seemingly trying to make a buck off the wannabes and newbies in the industry that it is difficult to find relevant information for veteran voice actors. Wise and insightful words from Alan for anyone ... in almost any business! And, he didn't mention Twitter or Facebook once (not that there is anything wrong with that).